The children have been identified as Cristos and Isabella Lopez. A 37-year-old father and his two children were found unconscious by San Diego Fire-Rescue (SDFD) responders after a fire was reported at their Rancho Bernardo condominium Saturday morning. At approximately 3:18 a.m., fire and police emergency responders arrived at the condo in the 11000 block of Bernardo Terrace. Fire crews removed the father and children from the premises and they were rushed to local medical facilities in critical condition. SDFD said they suffered from burns and smoke inhalation. 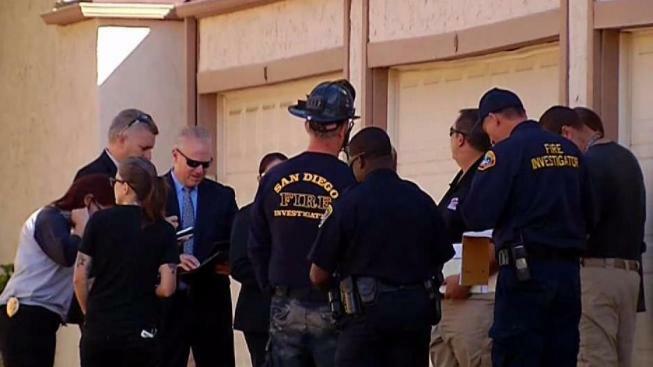 At approximately 11:11 a.m., the San Diego Police Department confirmed a seven-year-old girl and a 10-year-old boy passed away as a result of the fire. They were pronounced dead at the hospital. "I'm really shaken about seeing what I saw last night, and it's really really devastating," neighbor Joelle Silver told NBC 7. "I ran to the bathroom and I came back and I hear crying, and I'm like 'oh no, if that's an adult crying then I know the child is gone.'" The father is being treated at the University of California San Diego. He is still in critical condition but is expected to survive, according to SDPD. The seven-year-old girl and 10-year-old boy were first and fifth graders at Sunset Hills Elementary School. The school sent out a letter tonight saying the two will be "remembered for their warm hearts and happy spirits." "Our hearts go out to the family and friends of these students, who were in 1st and 5th grade. They will be remembered for their warm hearts and happy spirits, and leave behind many positive memories. NBC 7 has not yet released the names of the two children out of respect for the family. The fire was knocked down within 20 minutes, according to SDFD. The apartment was destroyed in the fire.